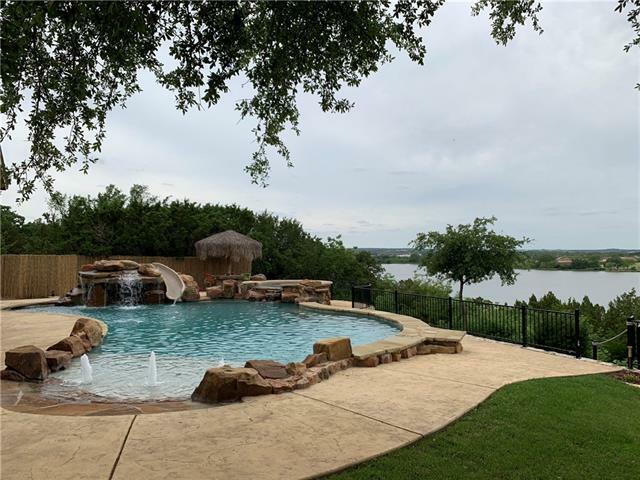 All Granbury homes currently listed for sale in Granbury as of 04/25/2019 are shown below. You can change the search criteria at any time by pressing the 'Change Search' button below. 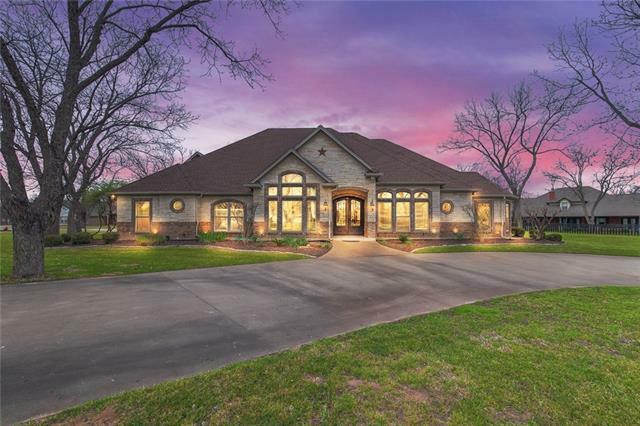 If you have any questions or you would like more information about any Granbury homes for sale or other Granbury real estate, please contact us and one of our knowledgeable Granbury REALTORS® would be pleased to assist you. 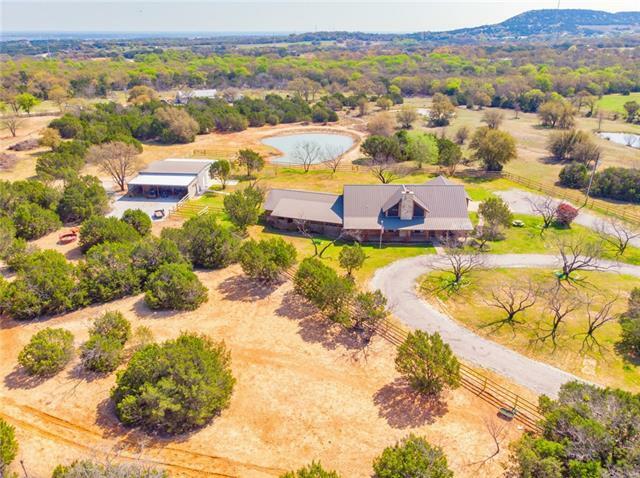 "Striking & secluded 72 acre ag-zoned property conveniently located on Lake Granbury with professional-style equestrian center including 6 stall barn & well-appointed viewing room overlooking covered arena. Over 12,000sf main house with outdoor entertainment area by pool. Add 3,000 sf guest quarters, 2,000 sf property manager s apt and 2 story children s playhouse! High fence and abundant deer on property." "There is nothing like this on Lake Granbury! A private 17-acre estate with over mile mainbody lakefront. Private drive, beautiful trees and open water with stunning views are waiting for you. Two homes, boat house, RV parking, 1200 sf shop with electric, and more. 1948 home is an original farmhouse 1092 sf; 2010 home is 2265 sf, craftsman beach style. Total 4 bed-3 bath. Keep it as is, build to suit, or develop multiple lakefront lots!" 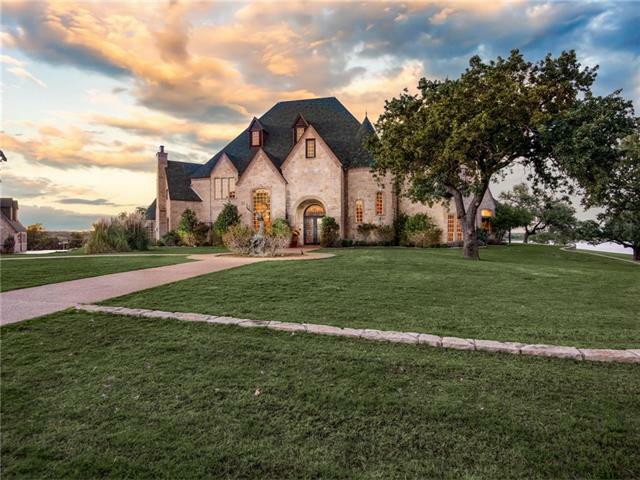 "This incredible lakefront gated executive estate on main body and canal of Lake Granbury features a huge master suite, his and her baths, guest suite, 2 large living areas, game room, exercise room, children's loft with 5 twin size sleep units, office that could be a 5th bedroom, 7 full baths, incredible kitchen with room size pantry, formal dining room, media room, large utility room, 12x28 screened porch, 30x30 covered outdoor patio with fireplace, kitchen, hot tub, children's play area, 2 bo"
"This exquisite, park-like property features almost 27 acres of land the perfect place to build your dream waterfront haven! The lush, rolling fields feature mature trees along the waterfront and across the property. The hay production is high quality and makes for an excellent source of additional income. 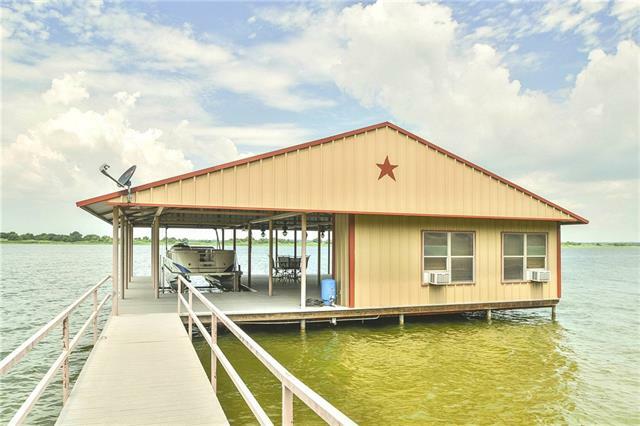 930 feet of deep main body water provides plenty of private lake access, and the 340 sq ft climate-controlled dock house is in a prime location for fishing, swimming, or taking the boat out." "If you've been dreaming about an acreage home on the lake, this 3-3-2 on 9 acres of mainbody water is it! 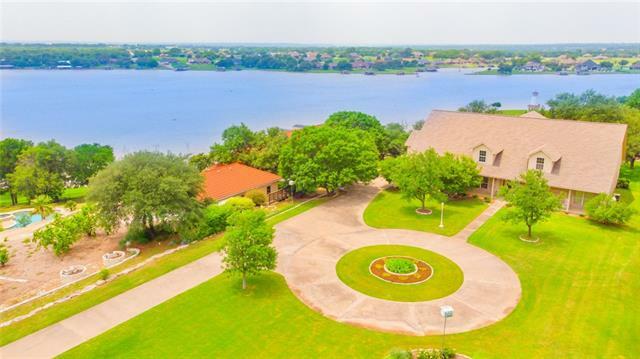 Enter the private gate, and the pecan orchard leads you to this waterfront beauty with a wide open living and dining room offering massive water views overlooking the pool to ensure. Two master suites are showcased with luxury spa master bathrooms. Guest quarters offer an additional bedroom, additional kitchen and additional views to the water and the pool. 4 fireplaces, full foam insulatio"
"Gentlemen s Ranch on 20+ Acres in the lovely Granbury, Texas!! Ranch amenities include a 5000 SqFt barn with 4 large stalls, wash rack with water heater, retractable sliding doors for cold weather, tack room, large hay storage, 3 garage machine shed, 864 sqft barn efficiency apartment fitted with a full bath & kitchenette, Austin stone goat huts, 2 tanks, 15x75 open round pen & crossed fenced! 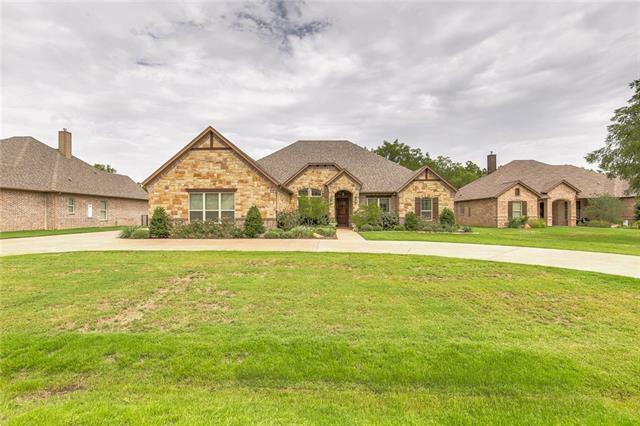 This estate offers a 4500+ sqft home, 4 bedrooms, 4.1 baths in the main house, spacious living areas"
"Current income producing, turnkey equine facility minutes from Granbury! 19 stalls, office, multiple tack and feed rooms, 2 wash bays. 120 x 200 covered arena, 140 x 250 lighted outdoor arena with year round footing. Multiple traps with loafing sheds, large hay barn & shop. 2 homes and completely fenced. Owner says materials for addition to the side of covered arena is on site for additional stalls or storage. 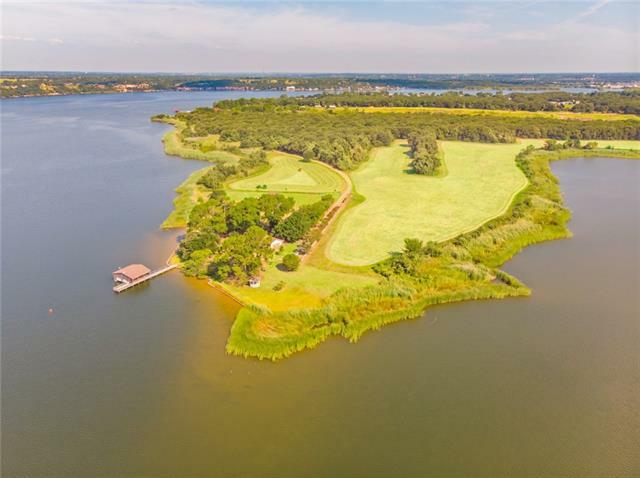 Up to an additional 70 acres in coastal bermuda with 1000 round bale per year producti"
"Exclusive retreat on beautiful Lake Granbury! 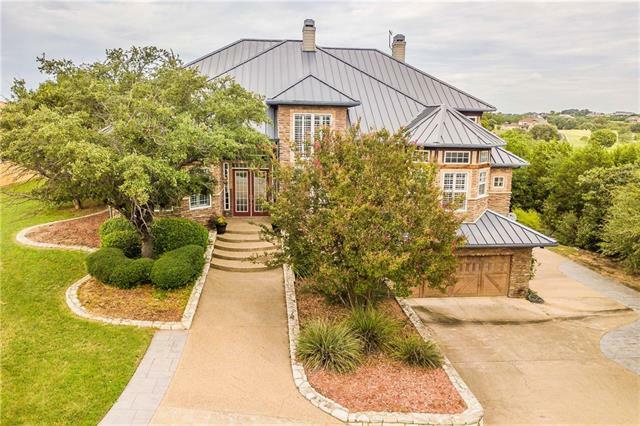 Situated in town this breathtaking 3 story custom built home offers vaulted cedar beamed ceilings, open living with floor to ceiling stone fireplace, an inviting kitchen with breakfast bar, island, wine rack, and attached utility with tons of storage. Each room has such special features from a quaint master area with jetted tub and his hers closets, a bonus room with an amazing view, a large downstairs private study and completed with a screened in p"
"Best kept secret! Multiple Use! 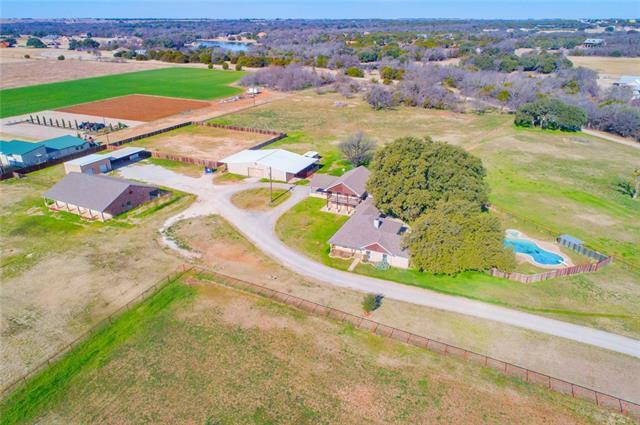 Nestled between booming Granbury and Weatherford lies an extra-ordinary piece of paradise just over 20 acres. Great views, Exceptional Privacy yet close enough to run to the store . Wedding Venue, Corporate Retreat, Mother in law, the list goes on. There just aren t enough pics allowed to show all the uses of the property. 2 large homes, swimming pool, storage and barn allow this to be that farm escape the right family has always looked for. A vineyard dow"
"One of a kind Horse facility. 22.85 ac. 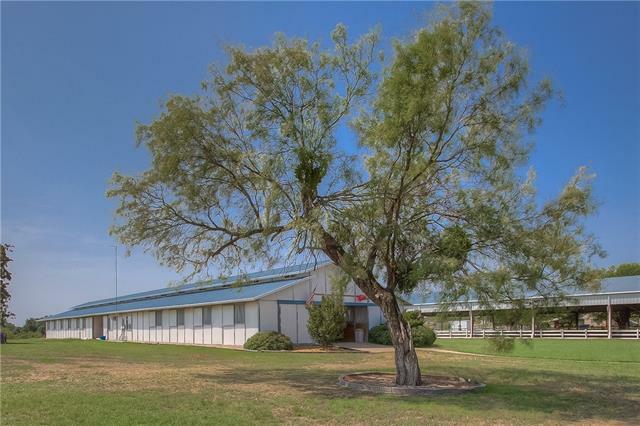 This unique 2 story Barn style home has a 1 bedroom, 1 bath apartment, office downstairs, 6 stalls, 2 oversize (completely matted), tack rm, wash area, fly spray sys, covered horse trailer parking and full size RV garage. The home upstairs has 2 bedrooms & 3 baths, Great Room and kitchen are designed to enjoy entertaining your family and friends. Balcony offers tremendous views. The master bedroom with its own pretty views, large bathroom with open shower"
"THE TOTAL PACKAGE IS HERE,*50X60 HANGAR ON THE TAXIWAY,50X11 STORAGE,*46X12 HANGAR AUTO DOOR. THE ENTRY HAS CIRCLE DRIVE,3 CAR GARAGE CONNECTS HANGAR, CUSTOM EVERYTHING DESIGNED & BUILT WITH FAMILY & ENTERTAINING IN MIND, COMFORTABLE, ELEGANT AND THE BEST KITCHEN WITH SUPERB CABINETRY, *2 ISLANDS, STAINLESS WITH GRANITE & GAS,PERFECT FOR THE CHEF WITH 2 SINKS. **3 OVENS TO & A GIANT PANTRY. 2 GAS FIREPLACES,1 ROCK TO THE CEILING IN FAM RM,1 IN LIBRARY.LG FORMAL DINING WITH LITED BUILTIN HUGE CHI"
"Turn of the century craftsman style Historic home currently operating as the Iron Horse Inn Bed & Breakfast. Too many amenities to list. This property could be a private residence or business. The main house features 7 bedrooms, 7+ baths, elegant main living area, separate den, large formal dining, large kitchen, basement, large covered porches and patio. Separate guest cottage, 2 story studio, separate laundry building. This property is being sold fully furnished as an operating business. This "
"This is a MUST SEE and tons of extras! Gorgeous Waterfront Home located in Mallard Pointe. This awesome kitchen is loaded with commercial grade KitchenAid appliances and includes a gas cooktop. Granite countertops, walk-in pantry and tons of cabinets. All bedrooms are downstairs, master bedroom is large with a lake view. Upstairs you will find a media room with a BluRay projection system, living area, full bath and a balcony. 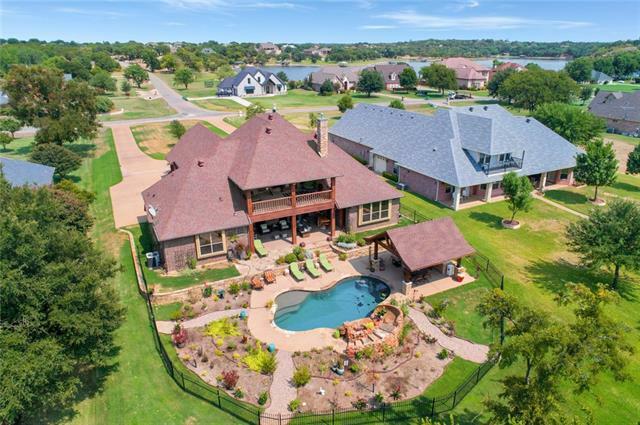 Step out the backdoor to outdoor living which includes a grill, refrig"
"Panoramic 180 degree views of Lake Granbury from this spacious custom Main Body home on 1 and one half acres in prestigious Bentwater. Bright, open rooms with extensive wood flooring & built ins;gourmet kitchen updated 2015. Truly an Entertainer's delight with awesome lake views from the home interior. Downstairs opens to huge screened in patio with adjoining glassed in outdoor area with fireplace. Relax on the loveseat in the Master to watch sunsets over the lake. Upstairs living, bedroom & bat"
"Come for the weekends, stay for a lifetime! Ft Worth side of Granbury with views up&down Lake Granbury & Historical Court House. July 4th fireworks will be spectacular from house or double decker dock! Resort pool installed 2017 with beach entry,sparkling pebble tech,spa,grotto with waterfall &slide. Covered vaulted ceiling porch with grill or Tiki hut with fridge to take a break from pool. 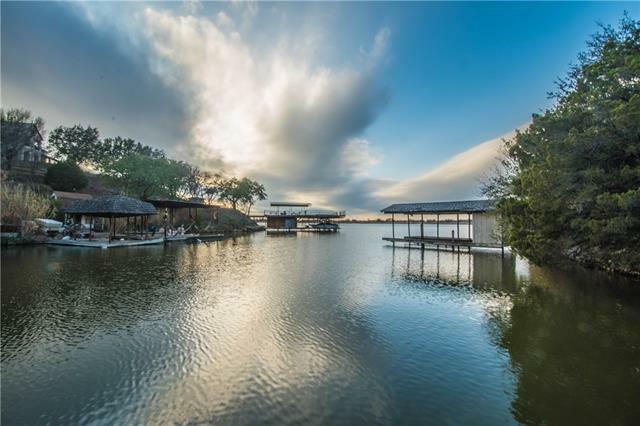 Double trex deck dock installed in 2017 with pontoon boat cradle, 2 jet ski lift, lounge area below, stora"
"Enjoy country living just minutes from everything Granbury has to offer! 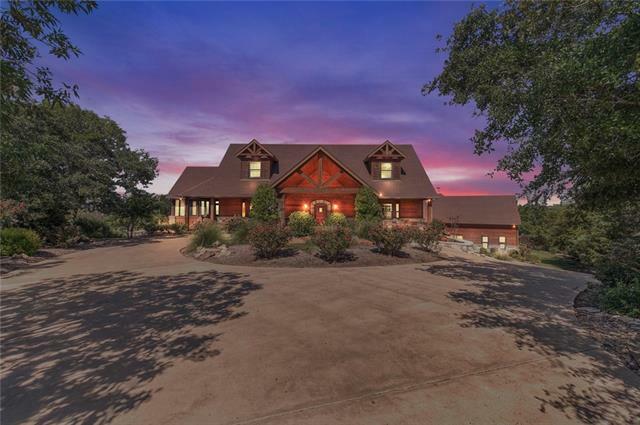 Solid custom log home with all wood walls and ceilings sits on 15 acres. Property is gated and hidden from street. Soaring ceilings, beautiful rock FP, huge windows in living areas, gourmet kitchen, prof grade range, 2 bed 1 bath guest suite with full kitchen with private entrance. Upstairs loft with private balcony, great view of the backyard, pond, 68x40 barn. 30x40 workshop area. 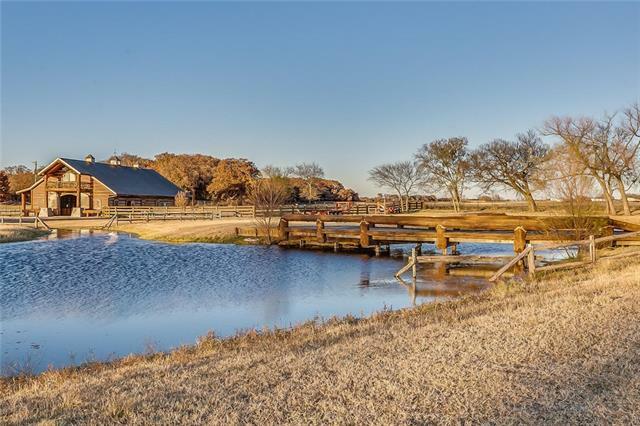 3 horse stalls on one side of workshop "
"The possibilities are endless for this 10 Acre Estate on Lake Granbury. Beautiful Main house with open concept floor plan enjoys million dollar views is 2170 SF 1 Bedroom (which encompasses the entire upper floor) 2 bath, 2 fireplaces, huge kitchen. Guest house is a 868 SF manufactured 2 BR 1 Bath home in excellent condition, There are 2 detached 2 car garages, one with a Studio & full bath. Huge Boat Dock on a natural inlet just off of Mainbody. This property would make an incredible weekend ge"
"$10,000 upgrade allowance with acceptable offer Beautiful WATERFRONT home in Bentwater on 1.5 acres. Room for the whole family, abundant storage. 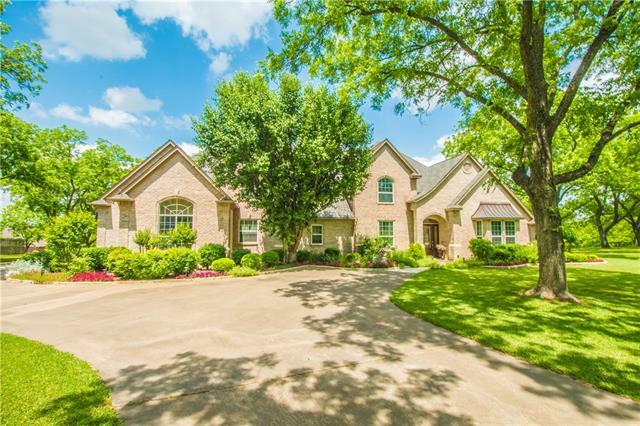 outside is perfect for entertaining, great pool, waterfall, tanning ledge and outdoor living space complete with fireplace and fire pit, Custom touches throughout including crown molding, vaulted ceilings, granite. Lovely master suite, his and her bathrooms, sitting area on upper level with balcony access. 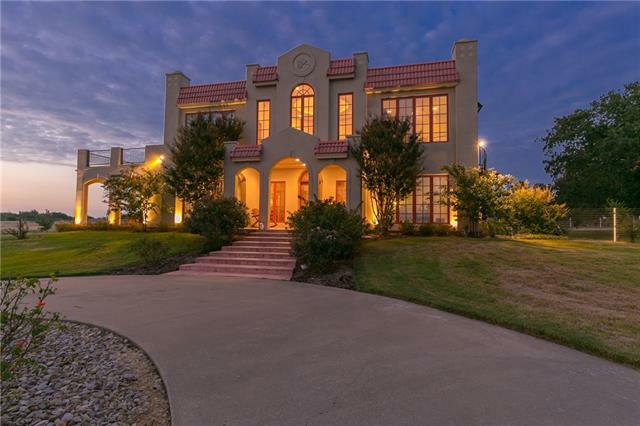 Huge game room on lower level with walkout ba"
"This beautifully maintained 2507 sf main residence built in 2000 welcomes you and your friends, family and guests to enjoy gorgeous Texas sunsets from the back veranda. 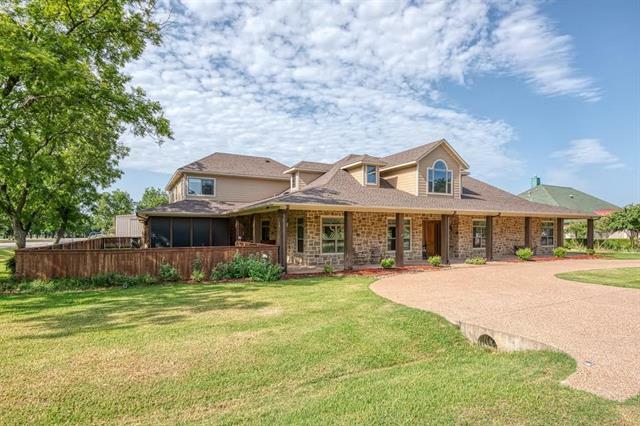 Set high upon a ridge in Hood County is your new brick and stone single level home. 3br, 2.5ba, with a large open concept kitchen and living area keeps the home open and airy. The two-car garage and home-office structure is just a few steps away and joined by a covered walkway makes going to work or going to work at home un"
"Incredible riverfront property situated on over 5 acres in Gated Country Club. The entertaining space in this home will astound you! Not only does it feature a huge island kitchen any chef would envy, but the outdoor living space is spectacular with a huge screened porch, built-in grill, sparkling swimming pool, and patio with fire pit for those cool spring nights. 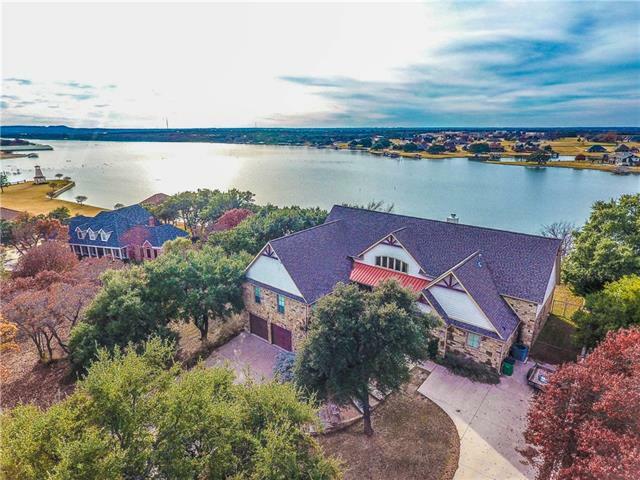 The quality built into this home is apparent at first glance, some of the highlights include dual staircases, butler's pantry, Kitch"
"Gorgeous home with golf course views in Prestigious Pecan Plantaiton. The home is full of modern finishes and luxury: large master with custom en suite & a huge closet, spacious spare bedrooms, appointed spare baths, media room, private study with custom built-ins, bonus room, & a massive laundry room. Relax and entertain in the outdoor living area with a built-in grill & beautiful custom pool, all while looking at the beautiful views of the golf course. 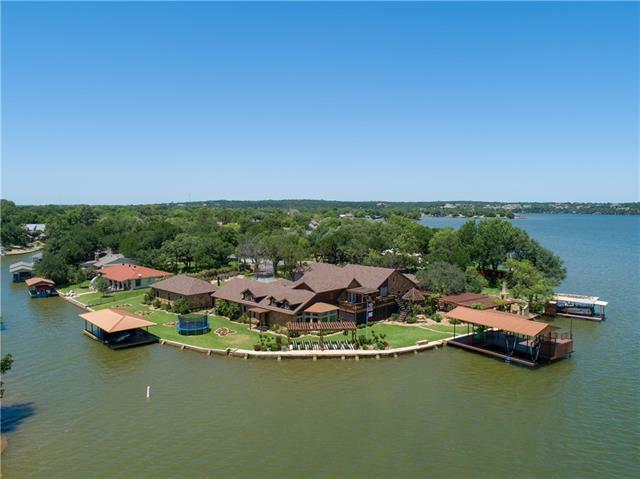 Plenty of room for your growing family & "
"Magnificent sunsets in this waterfront home with panoramic views of Lake Granbury. Beautiful stone on the exterior and a touch of cedar accents. This is a picture perfect setting with gorgeous trees, lush grass, circle drive and a stately walkway. Great outdoor living space with built in grill, steps with rails leading to the two story cover dock to enjoy the lake. Cedar beams in living area give a rustic touch and floor to ceiling windows allow plenty of natural light. 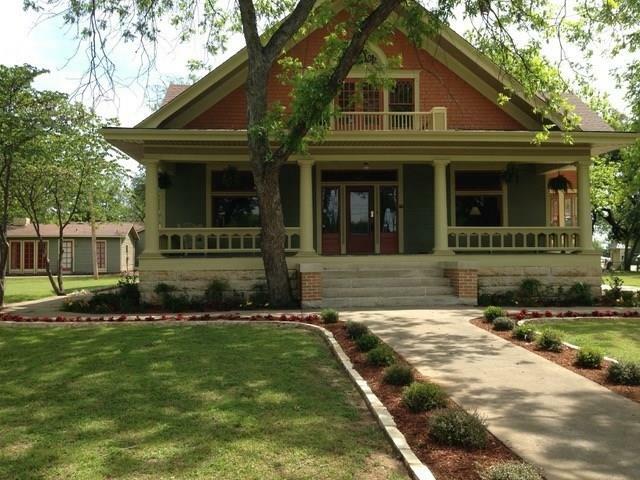 Two breakfast bars in the"
"Stunning Victorian home on Deep Mainbody Lake Front within walking distance of the Historic Downtown Granbury Square. Well maintained, every bedroom has a private bath, this property is currently a working B&B & is being offered fully furnished. Outdoors you will find a gazebo, gazing pond, boat dock, majestic oak trees & million dollar views of the lake. 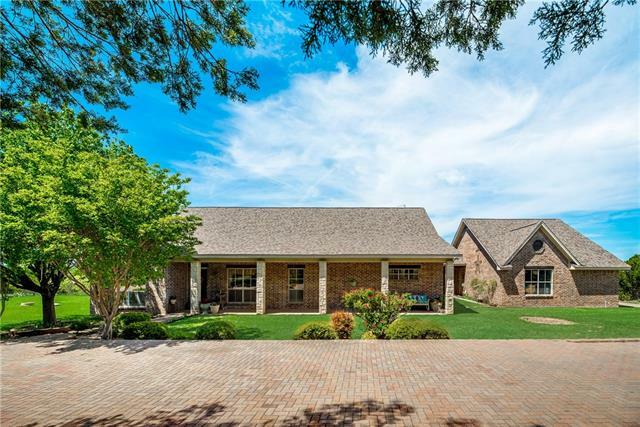 Original pine wood floors, pocket doors & soaring ceiling heights hold true to the character & era this home was built in, but the updated cab"
"EXQUISITE CUSTOM BUILT HOME LOCATED IN THE AIRPARK SUBDIVISION OF PECAN PLANTATION! This unique home with Natural Light has 1.335 acres to build your dream Airplane Hanger next to the taxiway! Enjoy entertaining in your outdoor space with Wood Burning Fireplace & Spectacular Swimming Pool with 3 Waterfalls & Grotto. Home features split floor plan with open concept 4 fireplaces, 3 brs, 3.5 baths, 2 living, formal dining, office, exercise room, game room, media room, wired sound system, oversiz"